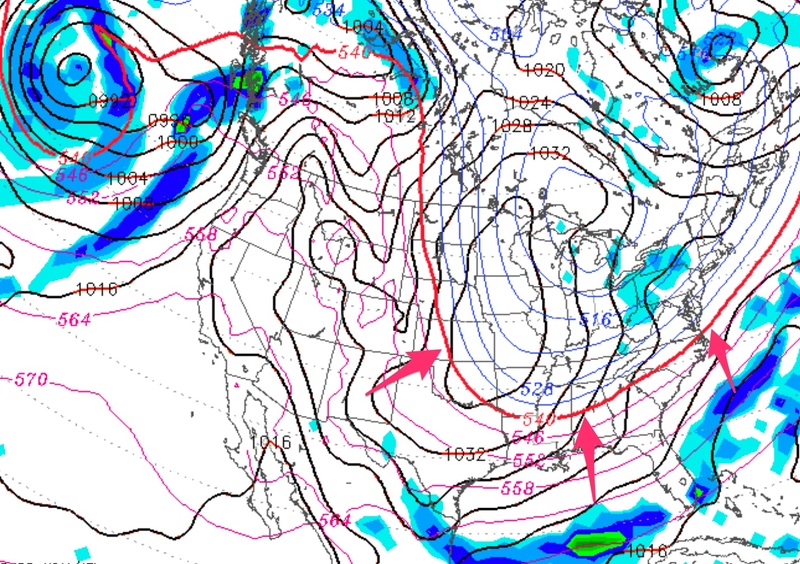 It appears that the cold snap in our area will be delayed a bit and will likely occur late Sunday night into Tuesday. Monday’s models show a slightly less amplified jet stream. Tues update: Some of the models are showing a coastal storm developing as a result of this jet dip next Tuesday with some snow falling in western PA and possibly further east. So far, the autumn season has been a mix— a very mild and rainy September and plenty of rain in October. This week we will have another few days of mild weather, but things are setting up for a change to much colder weather, at least for a period, sometime next weekend. Over the past few days, the medium and long range models have been showing a cold short term pattern developing the end of next weekend that one would expect to see in winter— a highly amplified jet stream, allowing unseasonably cold air to flood into the US. This amplification is impressive for this early in the season. So, get your winter coat ready, at the very least, for next weekend. By the way, above average temperatures will likely return after this cold outbreak.